On Monday 22nd April 2013 a Telkom technician installed an ADSL line for my neighbour. In doing so, he disconnected my phone and disrupted my ADSL line. Worst of all, my neighbors phone line and ADSL is working 100%???? It is now day 6 since my phone line was accidentally disconnected by a Telkom technician and I am still without a telephone line and my ADSL is now slower than ever. Yesterday, I had no internet at all. Best part is, my Telkom debit order went off yesterday for the full amount!!!!! I placed an order for an ADSL line last year May 2012, it has now been 9 months, and no progress on my order. Life can be made in 9 months, but it seems an ADSL line is much more complex. Telkom’s call centre has got to be the worst run establishment on the planet. Firstly, how do they work out how long you will hold for. Because whatever calculation they are using. It is horribly wrong!!! They told me i would wait 10 minutes. This was 40 minutes later and i was still waiting. I have too many ref numbers, names so i would leave it for now..
After more than a month going through a nightmare, finally they decided to give my adsl line & port back to me. My mom placed an order after me(mine had an invalid ref number so her order number was the only one that worked to get it activated). 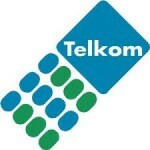 Telkom do not respond on Pants On Fire but they do read the comments and will sometimes rectify. This is the Same Fault, which is handled in this manner. I have a very slow ADSL service at 1mb per second. I have a 384 ASDL line and I barely get 1 MB per second download.